At RAIN Eugene we have a newly launched program that includes livestream Fireside Chats with Rain Eugene founders, skills training workshops, and targeted community networking opportunities. Designed specifically to engage and encourage local talent, business leaders and entrepreneurs, RAIN Eugene is dedicated to providing programming that will help decrease the talent gap in Lane County in a variety of market segments. A recent study conducted by the Oregon Talent Council noted that across the country, state and local government alongside industry and education, are taking a more active and focused role in continuous skills training. Different models are being used depending on what types of skills are needed and RAIN Eugene looks to expand the region’s talent pool through its unique, educational offerings. 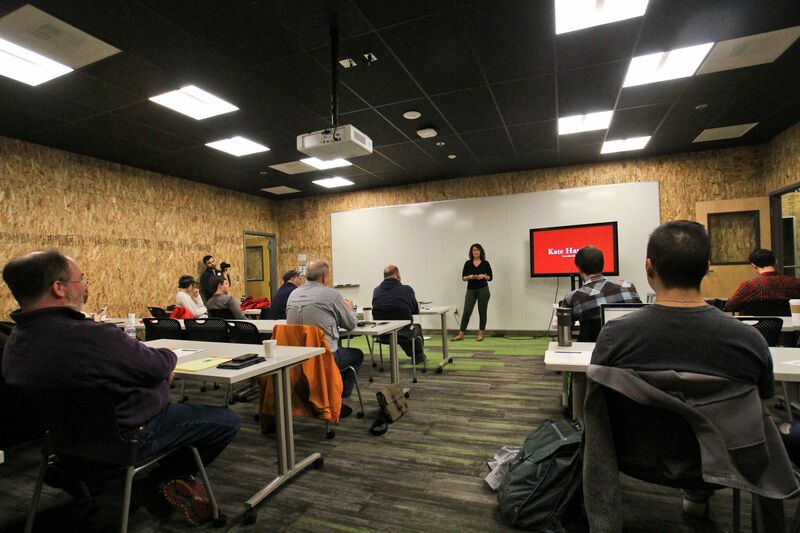 Providing low-cost training opportunities – By incorporating technology, working with local leaders and encouraging entrepreneurs and startups, RAIN Eugene will provide new programming that allows participants to better compete in today’s job market. Showcasing local subject-matter experts – Ongoing relationships with community leaders and local mentors provides an opportunity for RAIN Eugene to provide individuals in Lane County, and beyond, with the ability to utilize live streaming technology from home. They can also participate in local networking events and learn from experts in a variety of fields including technology, food and beverage and biosciences. Partnering to diversify – RAIN Eugene is partnering with other local groups including Redefining Women in Tech, industry experts and businesses to expand its outreach while working to diversify the local, startup ecosystem. Watch the next Fireside Chat on August 15, 4pm PT. Like our Facebook page to be notified of this and other upcoming programming and educational opportunities. Contact info@raineugene.com to learn more about our how to get involved with our team.